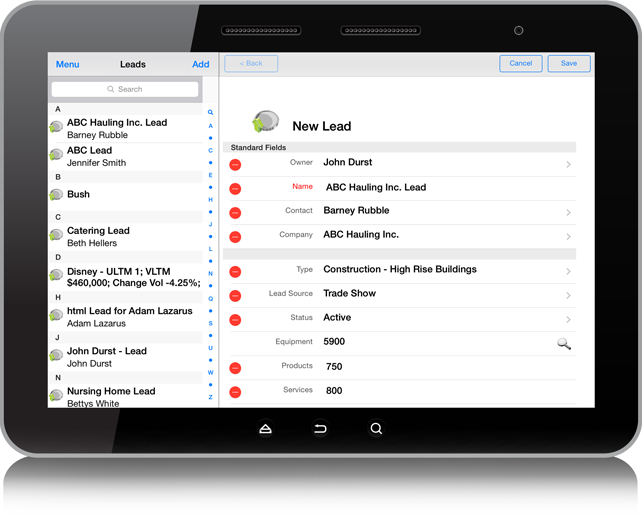 Organize, track and manage your sales leads right on your mobile phone or tablet. Have you ever missed a lead that you were assigned while on the road? Well, not any more. 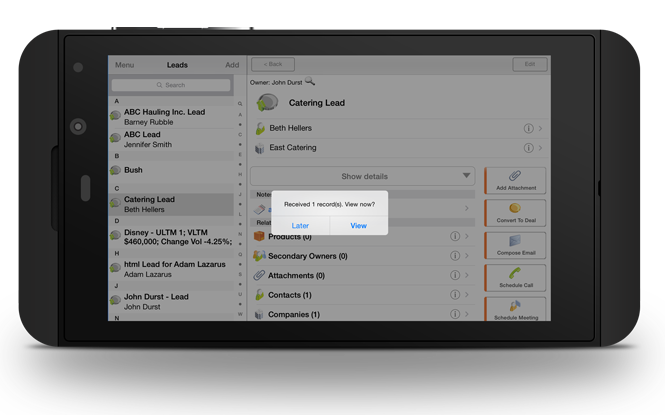 SalesNOW will alert you on your mobile phone or tablet when you’ve been assigned a lead from the office. Even if you don’t have time to act on that lead immediately, those leads that have been recently assigned to you will be available in their own folder for quick access and follow-up. Stay on top of your leads from wherever you are. SalesNOW gives you the ability to access, add, update and convert your leads directly on your mobile device. Every contact or activity that you have with any of your leads will be recorded. Follow-up reminders will be automatically sent to your mobile calendar. Never let a lead slip through the cracks ever again – even when you’re on the road.